Practiced hands spin the shaft of a bowdrill into the coals of a fire. What anthropologists refer to as 'material culture' is important in primitive lifeâ- especially with firemaking. 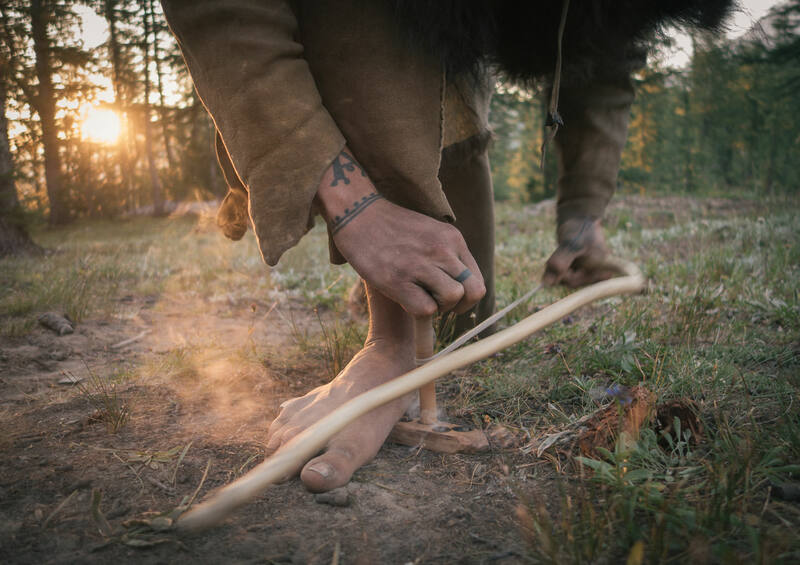 The warmth and security of fire is never guaranteed in the wild, despite a high level of expertise with friction fire methods. Moisture in the air, lack of suitable wood species or varying levels of wood decomposition make each successful fire a gift.